A new report by New York City’s Department of Investigation found rampant security violations on Rikers Island that allowed corrections officers and staff to sell contraband such as weapons, alcohol and narcotics to inmates for a sizable profit. DOI has been investigating the Department of Corrections since early January and plans to release a full report by the end of the year. Security is so lax and inconsistent at Rikers facilities that a high schooler could get through the checkpoints without a problem. Smuggling vodka in a Poland Springs bottle? That’s the oldest trick in the book! But if you’re feeling lazy, lying works, too: one undercover investigator was able to smuggle contraband past a checkpoint by telling the security guard he had already emptied his pockets and didn’t need to do it again. There has been a flurry of activity surrounding the NYC Department of Corrections and Rikers Island after a series of horrendous reports exposing subhuman conditions, abuse and corruption at the city’s largest jail. But I am unconvinced that the situation is moving in the right direction. On September 29th, the New York Times reported that the New York City Department of Corrections was eliminating solitary confinement for 16 and 17-year-old inmates at Rikers. While it’s fantastic news that these young inmates will no longer be subject to punitive segregation, the 16-17 year old age group at Rikers is a small portion of the population; only 300 of the 11,000 prisoners in the city’s jails would qualify for such leniency. The NYCDOC says there are 51 youths in solitary right now, but it’s unclear how many would see relief from this policy change. It’s also great to hear the NYCDOC plans to replace solitary with ‘alternative options, intermediate consequences […] and steps designed to pre-empt incidents,’ however vague that may be. If it reduces the use of solitary confinement, it can’t hurt. 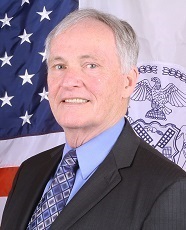 New York City Correction Commissioner Joseph Ponte has responded to Mayor de Blasio’s charge to improve conditions at Rikers Island by hiring private consulting firm McKinsey & Co. to draft a reform plan. McKinsey & Co., which is “mostly known for helping Fortune 500 and other large companies” and has reportedly “little if any experience” working with prisons, has signed a 12-month, $1.7 million contract with the city. McKinsey, the global consulting firm, has created dubious strategies for all manners of companies ranging from Enron to General Electric. Indeed, where ever there has been a financial disaster in the world, if you look around, somewhere in the background, McKinsey & Co. is nearby.